Parking at Disney World is a part of your Disney vacation planning that can be easily missed. But luckily, Disney makes parking at Disney World as simple as they can. With these Disney World parking secrets, you’ll breeze through the whole thing. 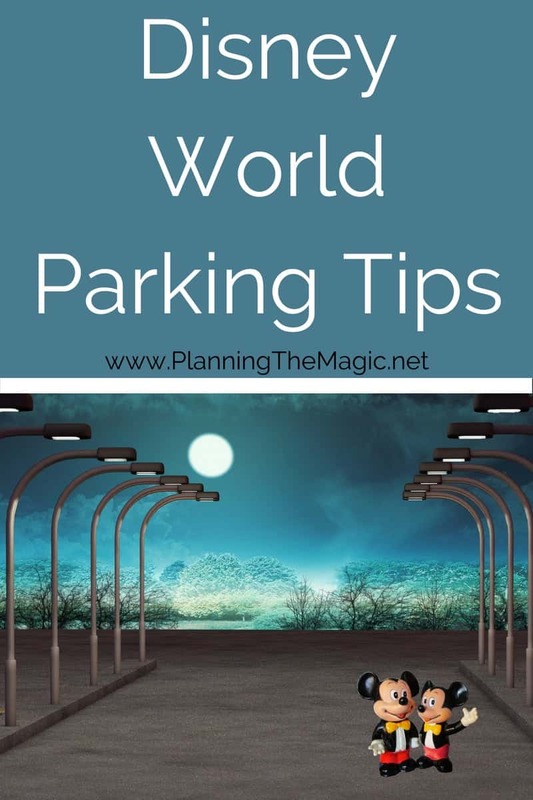 So if you’re driving to Disney World or renting a car while you’re there, use these Disney World parking secrets to make it all easy. Like any theme park, when you go to Disney World you will be charged a parking fee. The good news is that you only pay once a day no matter which parks you hop to or how many times you go in and out of the park. Parking at Disney World is paid once a day and is good all day for all parks, no matter how many times you go in and out of the park. If you’re staying at Disney World- I have news for you. Starting March 21st, 2018, Disney Resort guests also have to pay for parking. Previously, parking was free if you were staying at a Disney World resort. Disney World resort guests pay a parking fee, that differs depending on what tier resort you are staying, per night. The total is then added to the hotel folio. If you’re visiting a Disney resort for entertainment, shopping, dining, or recreation – parking is complimentary. Parking at Disney Springs is complimentary. Valet parking at Disney Springs is $20. Parking a the two Disney World water parks, Typhoon Lagoon and Blizzard Beach, is free. Parking at ESPN, Wide World of Sports is free. Disney Vacation Club members park for free. 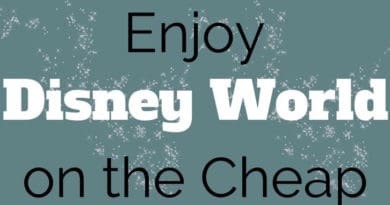 Outside of the parking fee you pay when staying at a Walt Disney World resort, resort guests and annual passholders park at the theme parks for free. With a disability parking permit, you are eligible to park in the various designated disability parking spots throughout Walt Disney World. 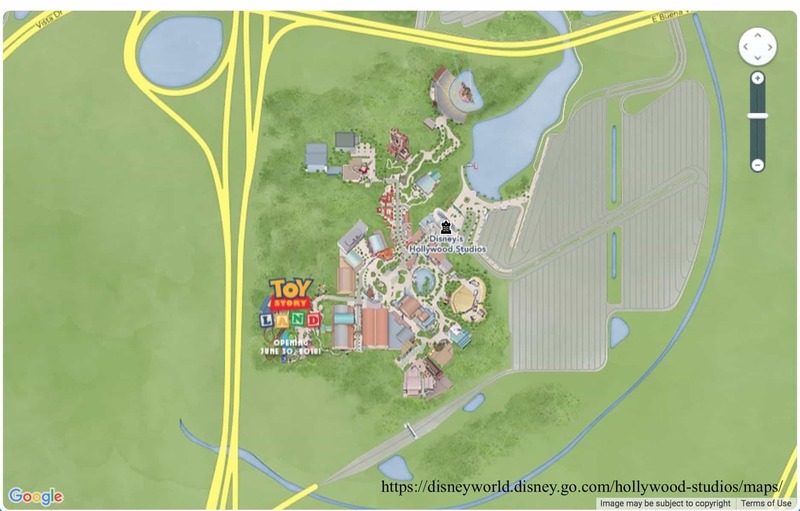 Magic Kingdom – Parking is close to the TTC where you purchase your tickets and decide whether to ride the monorail or ferry across the lagoon to the theme park. Epcot, Animal Kingdom, and Hollywood Studios all have parking very close to the entrance of the park. When you pay for parking at the Theme Park, make sure to ask the Cast Member where to go for Disability parking. The parking at Magic Kingdom is the most complex because it is one of two steps to get to the park. Once you park your vehicle and tram it to the TTC, you will then choose a way to get past the lagoon and to the entrance of the park. If you get to Epcot early, at least 45 minutes before opening, you will get a parking that’s maybe a 7-minute walk to the entrance. Epcot parking is right in front of the park. With the opening of Pandora – World of Avatar, you can find yourself parking further pack in Animal Kingdom even getting there 45 minutes ahead. Similar to Epcot, the parking is in front of the park but is large. Personally, I believe that Hollywood Studios has one of the easiest parking setups out of the four theme parks. The parking seems to be close enough to the front gate and since this is the slowest of the four parks, until the opening of Toy Story Land in June 2018, you can get a good parking even after opening. 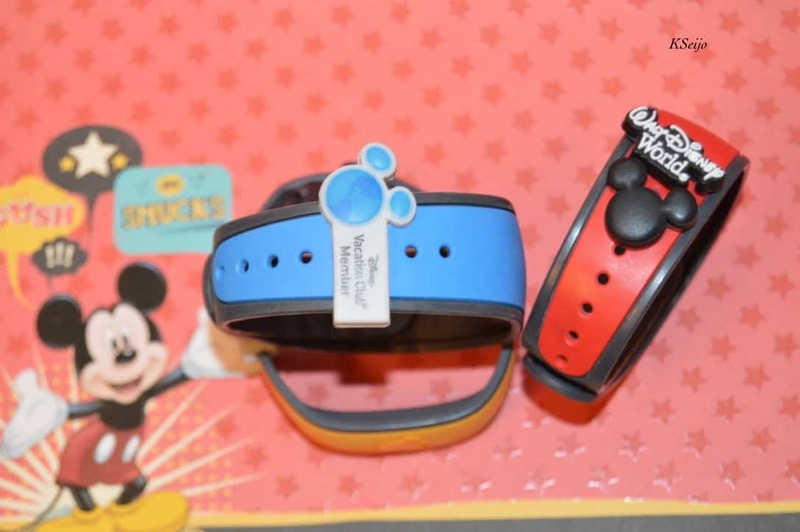 Disney was giving paper passes out once you paid for parking but they are transitioning to using your Magic Band to scan parking onto it. This isn’t fully implemented but be prepared. 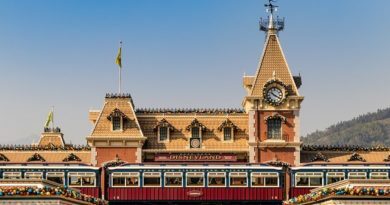 As far as your Disney budget goes, make sure you factor in the cost of parking and use parking costs as a fact when considering whether to stay on-site or off. You can pay for parking at the theme park with cash or a credit card. What to expect when you get to the park? There will be booth when you are first driving in similar to a toll, but more beautiful. Choose an open lane which is usually all of them, and drive up. Once you pay for parking, there are a ton of signs and Cast Members directing you where to park. Make sure you remember the name of your parking and where you’ve parked. If you have an iPhone, you can tell Siri to remember where you’ve parked and you can ask her at the end of the day. Another trick I use is taking a picture of my parking location with my phone. That way I don’t have to remember it. Don’t feel like you have to walk if you park really far. All parking lots have trams that run every few minutes. If you have a stroller with you, you will have to fold it up when you get on the tram. Arrive at the parks as early as you can. This will help you get a great, close parking and really enjoy the park as much as you can. Every touring plan suggests this. If possible, avoid leaving with everyone else. Which usually is impossible, and not that much of a big deal, but there can be tram lines at the end of the night to get back to your car. The lines will go quickly so don’t stress this too much. If you’re parked in a Disney parking lot than you have found yourself with free Roadside Assistance. The Disney Security team is available to assist you if you have any issues with your car like a flat tire, accidental lock-out, etc. I left the park once to a dead rental car, it was after the park closed and we were tired. Having that help was fantastic. This is such a wonderful guide! 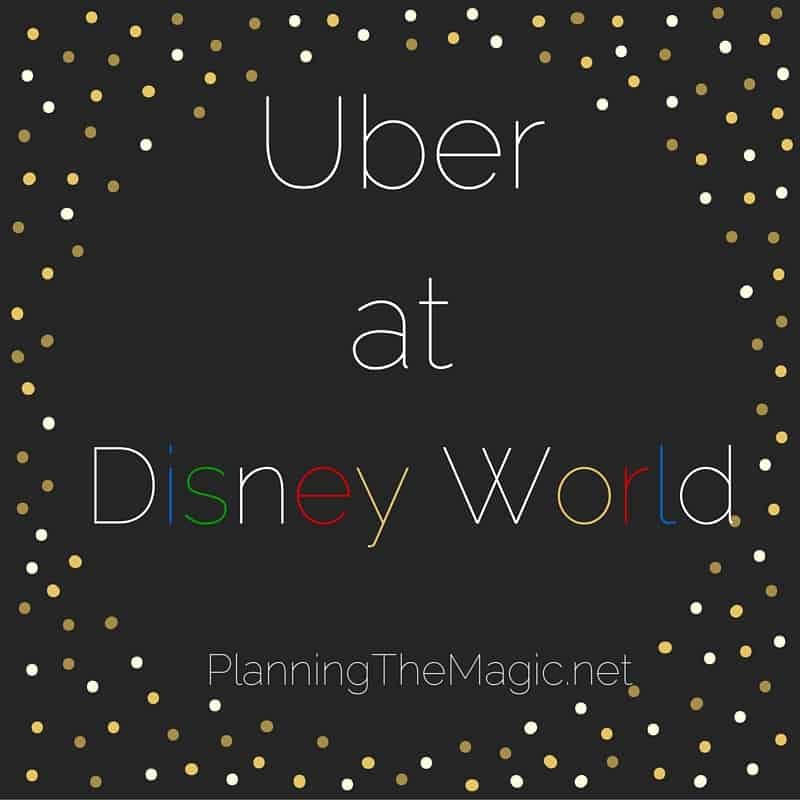 It sure does pay off to stay at a Disney resort to save on parking! Just when I think I’ve learned everything there is to know about Disney, you throw in something new. Thanks for the tips. 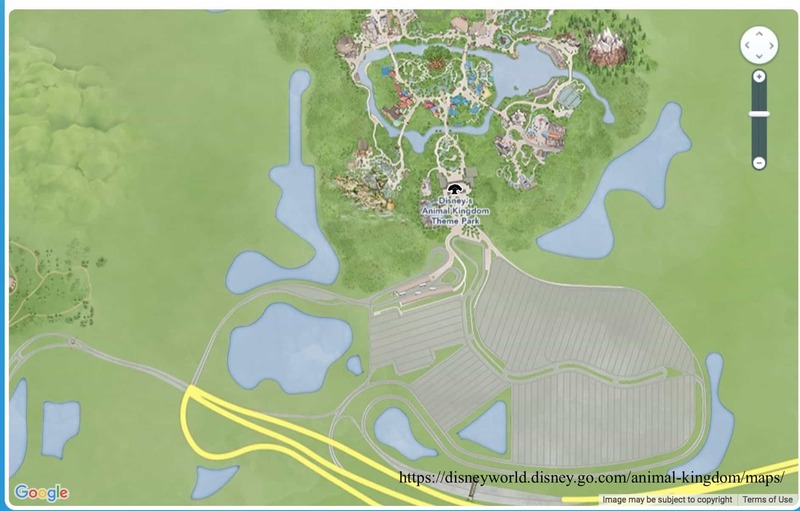 Holy cow – this is like the end all, be all guide to Disney parking!! This is amazing – I love the maps and tips! Another Disney trip would be super nice and these are helpful tips. I need to plan a visit with my daughter! Wow, I have no idea just certain sections of the park were this big!! Holy wow! My kids would love to visit the Toy Story Land. I didn’t know parking at Disney World was so complex. Thank goodness for your post. I like that you have included maps. We are Disney annual passholders. So glad we do not have to pay for parking as they just raised their prices! I think we get so busy planning our holiday that we forget to research what we’ll do with our car. Honestly? I always tree over parking so I truly appreciate your tips. My family and I love Disney. I will definitely be revisiting this post at the next time I’m planning our trip there. When we go, we don’t drive, so we don’t have to worry about parking. But loved your tips! Parking costs so much! When we went we just took the bus everywhere, but it did stink at night to wait in line to get a bus back to the hotel. These are really awesome tips! I will be saving this for our next Disney trip!